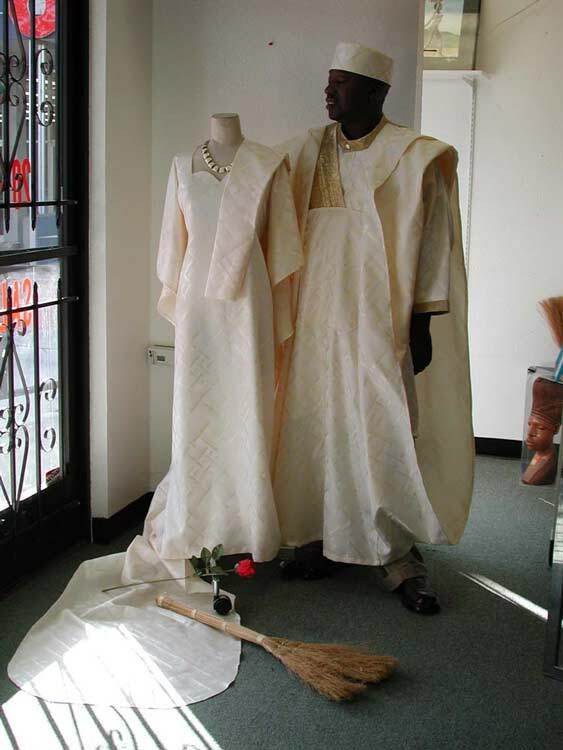 At Wilsdom Designs, we provide elegant afrocentric Bridal and Formal Wear. We custom design wedding attire for Brides and Grooms, Bridesmaids, Groomsmen and other members of bridal parties. Featured is Men's Grand Buba, Ladies Drop Cape Dress Sold separtely and is featured in the Bridal Gown category. Our wedding gowns range from $350.00 and up.You may contact us toll-free number 1-866-636-9061 or e-mail us at Wilsdom.com, for Bridal fabric selection or coordination of color samples.